times the recommended amount of sodium, we’ve set ourselves up for a long battle. to watch what you’re eating, especially if you suffer from hypertension or other heart diseases. Healthy” choices on the menu. These usually indicate plates that are low in sodium. you get your allotted portion and helps keep your sodium intake lower. Make your side order full of fresh or steamed veggies instead of fries or onion rings. looking to lose weight, and to keep their heart healthy. 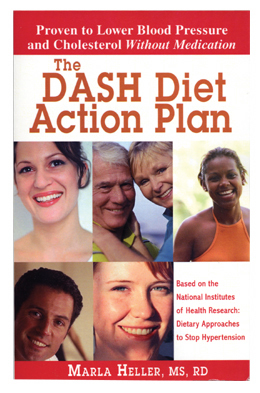 “The DASH Diet Action Plan” can be found in our catalog or online by searching for item #3732. Eating during the holidays can be tough if you’re trying to stay on a diet, or if you’re worried about eating too much. Since portion sizes have gotten out of control in the past couple of decades, it can be hard to judge how much you should be eating. When looking at the following tables, be sure to remember to eat proper portion sizes. Visit www.MyPyramid.gov for more information on a balanced diet and good nutrition. meal doesn’t mean you have to throw the idea of nutrition away as well. you can really address them. when those snacks are well-thought out and planned, you can keep going with something healthy. energy you need to get through the day, and oranges have vitamin C to keep you alert and healthy. Eating during the holidays can be tough if you’re trying to stay on a diet, or if you’re worried about eating too much. Since portion sizes have gotten out of control in the past couple of decades, it can be hard to judge how much you should be eating. When looking at the following tables, be sure to remember to eat the proper amounts of servings, as well as the proper serving sizes. Visit www.MyPyramid.gov for more information on a balanced diet and good nutrition. More weight can be better in the right cases. Bone and muscle weigh more than fat. A female that’s 5’4” weighs 145 lbs. can actually be much healthier than a female of the same height weighing 120 lbs. since the heavier female may have greater amounts of muscle and bone density. Ratios are the way to go. Calculating the ratio of weight to height is called your Body Mass Index, or BMI, Many studies have shown that a BMI greater than 25 increases a person’s chances of developing heart disease or cancer; especially more so after it increases above 30. Fat is different in different places. Excess fat on the waist and chest can increase the risk of developing diabetes, high blood pressure and heart disease, in comparison to those who have excess weight on the hips and thighs. Normal waist size in circumference for women is less than 35 inches and less than 40 inches for men. You can control your weight. Burn more calories than you consume, to put it simply. Exercising moderately for 30 minutes, four to six days a week will help you keep your weight under control. Build muscle. The more muscle you have, the more calories you burn. When exercising, it’s important to include some form of muscle strengthening at least twice a week. During the holiday’s, it is important not to completely forget about yout nutrition. However, don’t restrict yourself too much. It will make for a stressful holiday season! www.MyPyramid.gov for more information on a balanced diet and good nutrition. Main dishes usually contain meat or protein, and often have bread or pasta included with them as well. down. But, if you’re too hungry, you may consume too much before realizing that you are overly full. party. Too many, and you’ll end up eating all of the extras through the ease of convenience. will help keep you trim during the holidays. get you the vitamins and nutrients you need. those winter nights come, enjoy the winter days with some active movement. holidays makes it easier to stick to your healthy lifestyle goals. And, always remember, we have a dietitian on staff here at NCES who would love to answer your questions and provide any tips you need. Just give us a call at 800.NCES.BOOKS or chat online at www.ncescatalog.com.